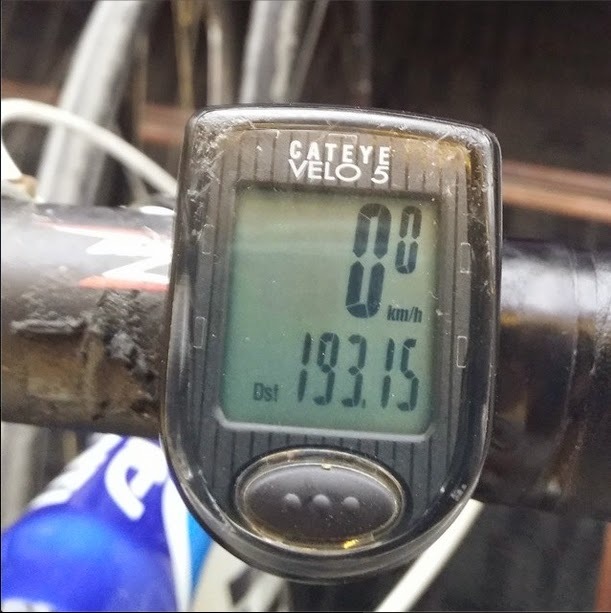 Riding 180km on a bike, to raise money for an orphanage in Manila was the goal. Saturday just gone was the appointed day. My husband Rory was the man. I can't tell you how relieved I was that he didn't have to bike all that way on his own. Especially after bugger-all sleep. The blokes on their bikes turned up about ten minutes after we made it to the meeting point, and I have to say I was a bit worried. Poor Rory looked like he was on his last gasp. I didn't know how he'd manage to make it the rest of the way. The rain was starting - just a light spit, but nothing to worry about. There was no sign of the downpour and gales that Jim had predicted. After ten minutes the drizzle let up... and that was it. No more rain fell while the guys were rising. Amazing. (meanwhile the rain never STOPPED in Auckland). One more meetup in Thames, where a local Pastor met the lads with coffee and muffins and they topped up their water bottles. I was reassured to see Rory looking so much better, with only 55km to go (or so we thought). Goodbye! we waved. Good luck! Ride carefully! Next time we saw them it would be all over. They were biking to Coromandel township, then catching the ferry back to Auckland. 180km up-hill-and-down-dale on a bike. But in spite of no sleep, bad weather predictions and a massive puncture at the bottom of the final hill, my legendary hubby limped over the finish line, with that awesome bunch of mad cyclists out for a fun day's ride, all in a very worthy cause. So far we have raised nearly $4000! I've been really humbled by the number of blog readers who have sponsored my hubby - THANK YOU ALL SO MUCH. In Rory's words, when he'd completed the ride: "Feeling pretty emotional after my biggest cycle ever, just under 200km - but hugely rewarding - touched by everyone's 'buy in'/generosity - pretty much $4k donated - awesome." If you still want to donate, it's not too late - we've still got $1000 to go to reach our target before Rory leaves with the team to build the orphanage on November 3rd.